Windows 8, the operating system released by Microsoft in 2012, has proved to be one of the most controversial technical products of the Century so far. With a radical departure from previous versions, Windows 8 was designed to encourage users to make the move to touchscreen devices and create a complementary experience for desktop and mobile users alike. The OS was met with a deeply varied response. Some commentators loved Microsoft’s bold move to embrace mobile users and create something that would genuinely rival Apple’s seemingly more innovative offerings. Others loved the use of flat design, a principle which would soon be adopted by Apple for their iOS. However, the general consensus was that Windows 8 was too much too soon, particularly for the loyal Microsoft users who had championed the simplicity and functionality that made Microsoft Windows an obvious domestic and business choice. Remarkably, one of the biggest causes of contention was Microsoft’s initial decision to remove the traditional ‘Start’ button, leaving many users feeling completely unable to use the unfamiliar app-style system. Whilst the Start button was quickly returned in Windows 8.1, many were wondering whether it was time to consider moving to Apple or an alternative OS, particularly as one of the biggest arguments for choosing Windows has tended to be familiarity. Recent research indicates that only 13.4% of desktops currently run Windows 8, compared to a whopping 51.2% by Windows 8. It’s too early to label Windows 8 a failure, but it’s certainly not performed in the way that Microsoft would have hoped. This week Microsoft have announced that Windows 10 is currently under development and will be launched in the not-so-distant future. Designed to feature across Microsoft’s range of devices, the OS will work on PCs, smartphones, tablets and the Xbox games console. Microsoft have said that Windows 10 will be designed to consolidate upon Windows 7 and Windows 8, bringing something of a hybrid that will attract users of both systems. It will, crucially, see the return of the Start bar and many of the features that have caused some users to stay away from Windows 8. However, it will also retain many of the strengths of Windows 8, including design features and the ability to function across Microsoft’s range of devices. 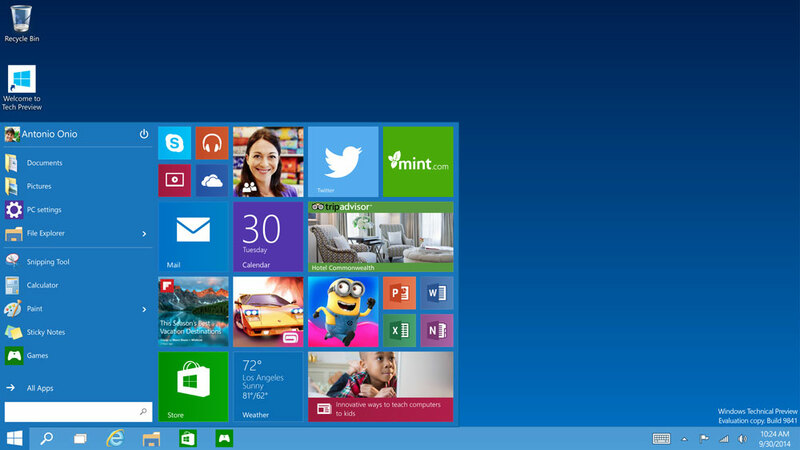 It is hoped that Windows 10 will have the global impact that Windows 8 failed to have. This, in turn, is intended to generate the kind of user loyalty that has defined a previous generation of Microsoft users. The world of business has long been a dominant area for Microsoft and their operating systems. Whilst designers have become increasingly enamoured with Apple, businesses have long been devoted to Microsoft. However, uptake of Windows 8 across business users has been remarkably low, with Windows 7 and even Windows XP remaining the OS options of choice. It is hoped that Windows 10 will achieve what Windows 8 failed to do and persuade the business world that it really is the best OS out there. Microsoft will be developing Windows 10 over the coming months. Whilst there’s no hint at a launch date, we’re looking forward to seeing how things unfold – and, of course, getting our hands on a new and improved OS so that we can continue to provide our clients with the very best cross-browser, cross-device website design.